I’m scared. | a piece I wrote in March 2017 but didn’t post until now. – sam finds faith. I’m scared. | a piece I wrote in March 2017 but didn’t post until now. In about 15 minutes, my littlest baby will take off on his first plane ride for a week long trip with his dad to visit family out-of-state. 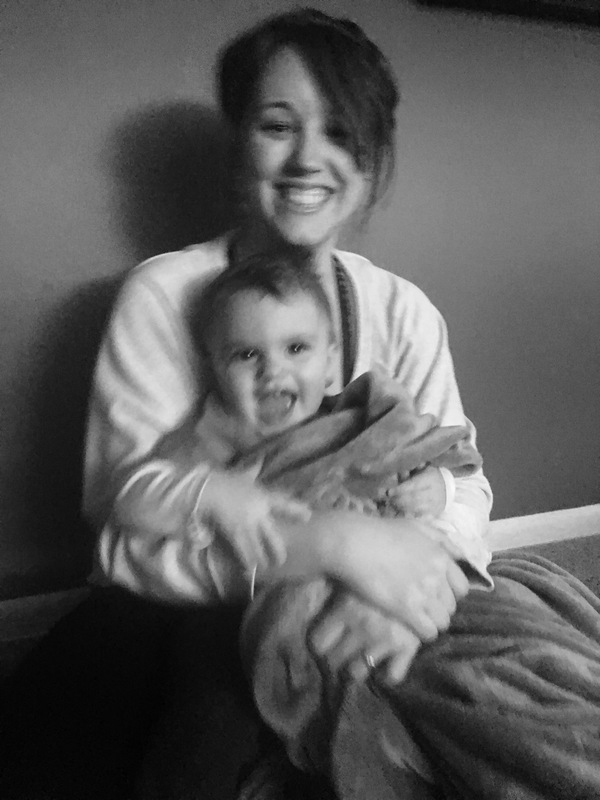 I feel like most moms would have a hard time with being separated from their babies for 7 whole days regardless, but there’s another layer to me that makes this so much harder. I more than likely have OCD. Specifically, I’ve been told I have “Harm OCD.” I say “more than likely” because I have never been formally diagnosed, but after a few months of therapy, this was the best assessment offered to me. This means that I think obsessively about the most horrible things you can imagine happening becoming reality for myself or those that I love. I think to an extent, I’ve sort of always been bent this way, but it was made worse by a likely (albeit mild) case of PTSD after back-to-back car accidents in 2014, and intensified after a run with postpartum anxiety. I’ve avoided medication as a treatment option (not knocking it, I know it’s done wonders for some people) for this long by having learned to manage my thoughts so that they don’t interfere with my day-to-day life through things similar to meditation, and lots and lots of yoga. Nothing new-agey and resembling anything close to another religion other than Christianity, just sort of meditating on reality and truth. Focusing on what I know is real and know to be a fact instead of what I’m thinking could happen (and sometimes a quick game of solitaire) has done wonders for making me a fully-functional adult. I’ve known about my son’s trip with his dad for weeks – months, even. But it wasn’t until the last day or two that the reality of his being gone for more than just a few days, being on an airplane, being so far away, really began to weigh on me and the obsessive thoughts began to threaten to take over. I’m teary-eyed right now just admitting that they exist, because it causes me to remember all that I’ve feared most and spent the better part of a day and a half just trying not to think about. I won’t even begin to describe the awful scenarios I’ve imagined and obsessed over because triggers are real and I don’t want to do that to someone else, and ultimately, that’s not what I’m hear to really write about at all. I will tell you, though, that I soaked up every possible moment with that boy that I could. I held him longer, kissed him more, and maybe even spoiled him a little bit more than I normally would. But you see, yesterday, as just me and my youngest babe drove the last 15 minutes we’d spend together for a week to his dad’s house, I opted for the Christian radio station. Knowing that I was plagued with fear, feeling that soreness in my throat, seeing that blurring in my eyes, I was powerless to protect him from harm. Anything that might happen to him, from the slightest bump on his head to the worst I can imagine – I can’t be there for any of it. As a mom, that’s a hard pill to swallow, and without anyone else to talk to, I listened to someone else sing about God’s peace and faithfulness. And because I realized that in my position now, I have no choice but to hand my son over into God’s hands, and trust Him with all that is precious to me in this world, I prayed. I thanked Him for being patient with me so far, and asked that if He’s good to please be good to my boy. To keep him safe from harm and return him safely to arms that love him desperately. And that if He could spare, to help me through this week, because these thoughts can be deafening. I wrote previously about how I felt like God was taking off band aids that I’d pasted over my painful spots carefully and gently, earning my trust back a little bit a time, and gaining my attention. This is what has me writing again at all. But this one feels a little more rapid, a little more painful. This is a painful surrender and I’m scared. I’m scared of something happening to my baby anyway. I’m scared of someone reading this. I’m scared God will be silent. But I have no choice. I have to trust Him. Next postlight it up, light of the world.